This particular Blu-ray arrived from amazon.uk last year and although I did watch it when it arrived, tonight was the first time we both sat down watched it on the Panasonic VP. I remember when the book was out for sale in the 1970s, it was huge book. I never bought a copy, has anyone here ever read it? Anyway the Blu-ray picture quality is excellent, plus a DTS 5:1 sound track with music by Jerry Goldsmith. 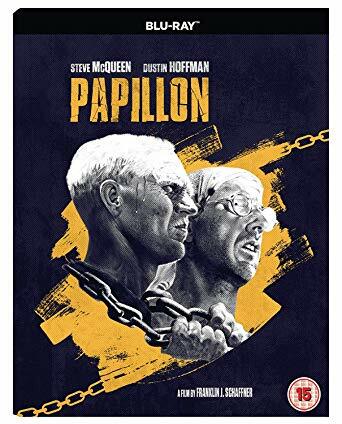 "Papillon" has a running time of 150 mins, so its a long one. Its certainly a brilliant movie, and if you like films from that era this Blu-ray is well worth getting...highly recommend it.